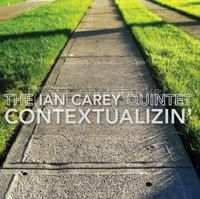 Ian Carey’s 2006 debut, SINK/SWIM, drew some critical attention to the Oakland-based trumpeter’s original music and forward-thinking quintet, but his new recording, Contextualizin’, is sure to turn heads in the direction of this gifted jazz trumpeter/composer. The new CD will be released by Carey’s Kabocha Records imprint on February 16. 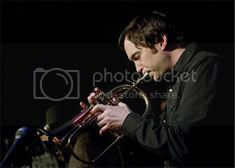 Carey’s striking compositions–and one standard, “Just Friends”–are performed by the tight group of improvisers with whom he recorded SINK/SWIM (also on Kabocha) and has frequently worked in Bay Area club settings for the last six years. Saxophonist and flutist Evan Francis is his fiery front-line partner; Adam Shulman switches between piano and Fender Rhodes (playing with “understated virtuosity,” in the leader’s words); bassist Fred Randolph and drummer Jon Arkin ground and propel the music. In addition to leading the quintet heard on Contextualizin’, Carey has played around the Bay Area with the Contemporary Jazz Orchestra, 8 Legged Monster, the Realistic Orchestra, vocalist Betty Fu, and pianists Ben Stolorow and the late B.J. Papa. His main focus, however, has been on composing and performing original music with the quintet. In his CD booklet notes, Carey recalls a meeting with the saxophonist Steve Lacy in which Lacy observed that the trumpet “is a discursive instrument — you know, it tells a story.” With those words in mind, Ian Carey aims to say something with his music. He aims to tell stories. Seventies spirit—Ian Carey, who plays trumpet and flugelhorn, sent along a CD he recorded in 2005. It has a rich, introspective 1970s feel—especially with Adam Shulman on the Fender Rhodes piano. Carey, who knows his jazz history, plays a warm horn with a Freddie Hubbard feel and is backed by Evan Francis (saxophones), Shulman (electric piano), Fred Randolph (bass) and Jon Arkin (drums). Many of the compositions and arrangements are by Carey, and the CD includes tight interpretations of Wayne Shorter’s ESP and Herbie Nichols’ The Spinning Song. Jazzwax is written by New York’s Marc Myers, and regularly features interesting thoughts on classic jazz (including a great series last week on the under-appreciated saxophonist Hal McKusick). I especially like that it reminds me of recordings I’d forgotten about, and supplements them with possibilities for further exploration. I don’t get to talk and think about classic records nearly as much as I did back in my school days, so it’s good to have a regular place to get back in the spirit. We also enjoyed our Friday show at the Parc 55 in the city (those of you who made it out got to witness my debut on my recently-acquired vintage cornet—something you can tell your grandkids about, I’m sure). We were filling in for the excellent vocalist Betty Fu, who performs there on a weekly basis, and with any luck she may call on us again. Saturday evening brought a performance at a wedding with the great Mitch Marcus and his big band, which featured the amazing spectacle of old ladies in their best formal finery dancing happily to a 7/4 funk groove (with a 15/8 feel superimposed). God bless San Francisco. When Oakland-based jazz trumpeter Ian Carey was about 14 years old, he experienced something of a revelation. While he was growing up in upstate New York, his family attended church regularly, all singing in the choir. But when they moved back to Folsom, Calif., just east of Sacramento, Carey’s father searched the area in vain for a suitable church with a strong choir. Churches were plenty but choirs were not, and when he couldn’t find one he liked the family’s church-going days were over. Thus one muse was replaced with another and a life-long obsession was born. That’s all for now—hope to have more gig announcements soon. Also: Evan Francis, our saxophonist, will be performing with his group Spaceheater this Saturday 7/1 at Amnesia (853 Valencia @ 19th St., SF) from 10:30pm-12:45am. Check it out. Also, for those of you in the Bay Area, I’ll be performing tomorrow, Monday the 17th, with the Contemporary Jazz Orchestra at Jazz at Pearl’s. The CJO is led by Alex Budman, who sat in with my quintet recently, and on any given Monday, the Orchestra features some of the area’s best improvisers, not to mention phenomenal sight-readers. 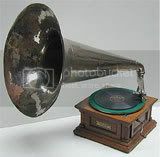 Stop by and soak up some rollicking big band sounds. Starting in a few weeks, I’ll be posting some more highlights from our several-year run at the House of Shields–there may even be a “Best of” live CD-R available if anyone’s interested. Note: You can keep up to date with all the latest info from this site by subscribing to our RSS feed (through a feed-reader such as Bloglines), which will automatically update any time there’s new content.